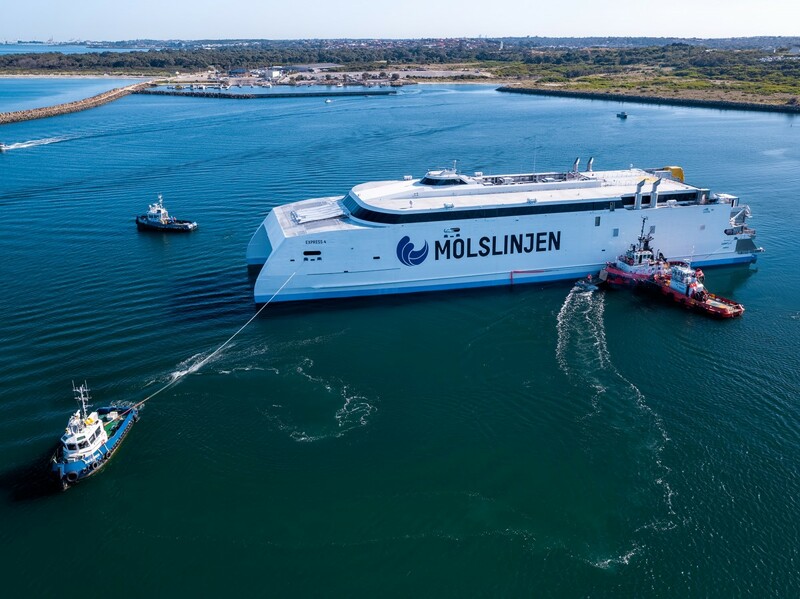 In June 2016, Austal was awarded a contract to design and build a 109 metre vehicle passenger (RoPax) ferry for Molslinjen (OMX: MOLS) of Denmark. The A$109 million contract is the largest by volume commercial ferry designed and constructed by Austal since 2011, built at Austal Australia’s Henderson shipyard commencing in early 2017. The first-in-class vessel is the first built by Austal to feature two full vehicle decks for 425 cars, or 610 lane metres for trucks and up to 232 cars. With a capacity to carry up to 1,006 passengers safely and comfortably at speeds up to 40 knots, the all-aluminium catamaran delivers greater capability to Molslinjen to achieve early, valuable returns on a strategic commercial investment. 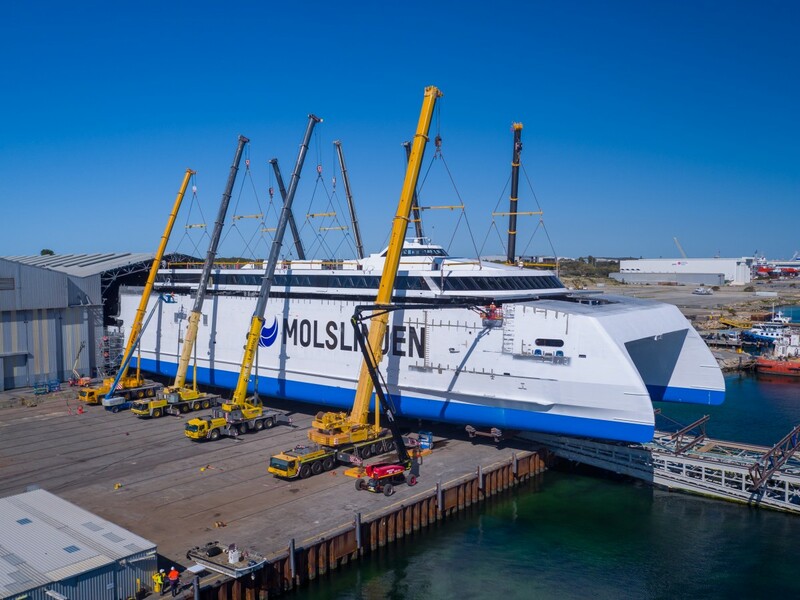 Hull 393, Molslinjen Express 4 was rolled out on 18 August 2018 at the Henderson, Western Australia shipyard and subsequently launched on 16 October 2018. The vessel achieved in excess of 40 knots during high speed trials off the coast of Western Australia prior to delivery in January 2019. Videos of the rollout, launch and sea trials can be viewed on the Austal YouTube channel.